Get injury lawyer help now for many of the following injury issues. Injury lawyers that are experienced in representing catastrophic injuries include things such as brain injuries, spinal cord injuries, eye injuries, neurological disorders, severe burns, accidental amputation, and multiple fractures. Victims of catastrophic injuries may suffer from a loss of movement or sensation. They may lose their ability to communicate or have impaired cognitive abilities. The catastrophic injury may adversely impact the victim's respiration or circulation. Other body systems such as the gastrointestinal system and the urinary system may also be negatively affected by these injuries. Managing catastrophic injuries can be complicated and require the assistance of a multitude of healthcare professionals. Victims may require the services of healthcare professionals such as physicians, nurses, counselors, and therapists. The long-term costs of services such as these can be astronomical, and most victims are not financially prepared to meet these expenses. A catastrophic injuries attorney can help victims ensure they receive the monetary damages they deserve. Local Law Firms Home > Medical Malpractice News > Could Doctors Be to Blame For Whitney Houston’s Death? Could Negligent Doctors Be to Blame For Whitney Houston’s Death? After Whitney Houston’s death, an investigation was well underway as her the medications found in her hotel room were investigated by authorities. Her pharmacies and doctors are currently being looked into. It will be weeks before toxicology tests the effects of medications and the amounts, if any, that were in Houston's system when she passed away. The winner's history of drug abuse has added to the assumption that her passing may have been the result of excessive medication use. Abuse of prescription drugs has drastically increased in recent years. In 2008, more than 36,000 individuals were killed as a result of medication overdoses — triple the amount from 1990 — with most of these passings caused by prescription medications. Overdose deaths now surpass car accident deaths, according to a report from the Centers for Disease Control and Prevention. Investigators have not stated which prescription drugs they have recovered from Houston's room at the Beverly Hilton Hotel. She was found underwater in a bathtub by a member of her entourage hours before she planned to attend an elite pre-Grammy party. Law enforcement officials have stated there was no evidence of foul play and Winter said there was no indication of trauma on her body when an autopsy was done on Sunday. Among the possibilities that will likely be explored is whether Houston was abusing alcohol before her death, which could affect the strength of any prescriptions she was taking. "Sometimes people fall into a stupor when they're on a combination of drugs so they're difficult to arouse," said Dr. Karen Miotto, a clinical psychologist at the University of California, Los Angeles. Even a minimal amount of medications in conjunction with alcohol "can result in a state of unconsciousness and inability to rescue oneself from drowning in the bathtub," said a forensic toxicologist at the University of Florida, Bruce Goldberger. Excessive prescription drugs can lead to liability falling upon a doctor if a patient dies as a result. A somewhat similar case involved Michael Jackson and the prescription drugs he was taking. His doctor was recently found guilty for manslaughter. California keeps a prescription medication monitoring database known as CURES, which lists more than 100 million prescriptions and receives anywhere from four to six million additions each month. DISCLAIMER- PAID ATTORNEY ADVERTISEMENT: This is a website used for attorneys and law firms to advertise their business. We are in no way affiliated with a prepaid legal service. LocalLawFirms.com is not a law firm. Attorneys participating in our services pay a fee for practice areas and geographic locations to an advertising membership. LocalLawFirms.com does not endorse or recommend any lawyer or law firm who participates in the network. All websites affiliated with LocalLawFirms.com operate 24 hours a day. Visitors to the website will never be charged to locate attorneys and can submit their potential case at any time. The information contained herein is not legal advice. 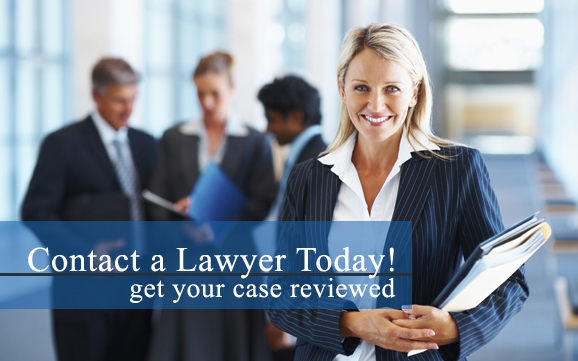 All cases evaluated through this site are reviewed by an attorney or law firm. Any information provided to LocalLawFirms.com may not be protected by the attorney-client privilege. LocalLawFirms.com is located in FL. USA. This site is part of the LeadPro Service Network ©2016 All rights reserved. Local Law Firms at LocalLawFirms.com is a wholly owned subsidiary of LeadPro Service Corp.